This shop has been compensated by Collective Bias, Inc. and its advertiser. All opinions are mine alone. 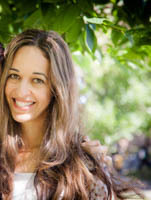 #FoundMyDelight #CollectiveBias. Calling all coffee lovers! 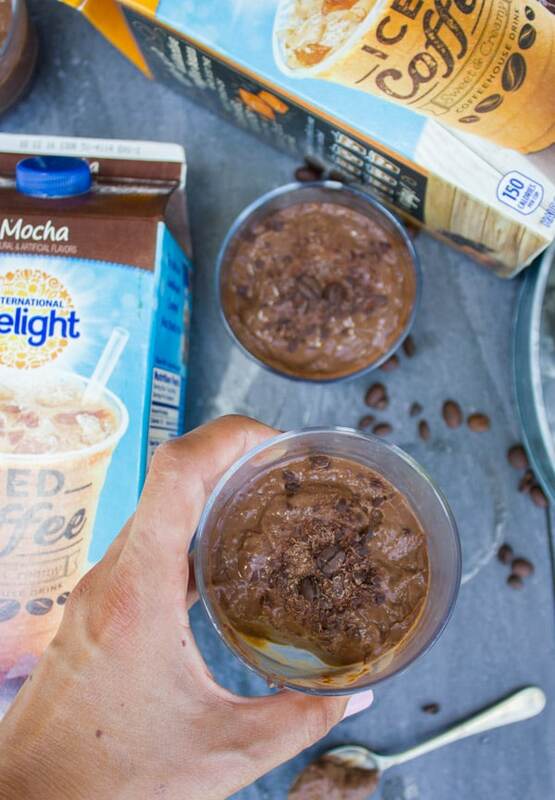 Here’s a Mocha Coffee Pudding recipe with no fuss! Yes, yes, yes for coffee and more coffee!!! That’s the caffeine addict in me rejoicing for every coffee recipe in my life 🙂 Ok seriously, who can resist a coffee dessert? Especially when it has a hint of chocolate or caramel or both. Yes, it sounds too good to be true, but it is! This coffee pudding is everything. 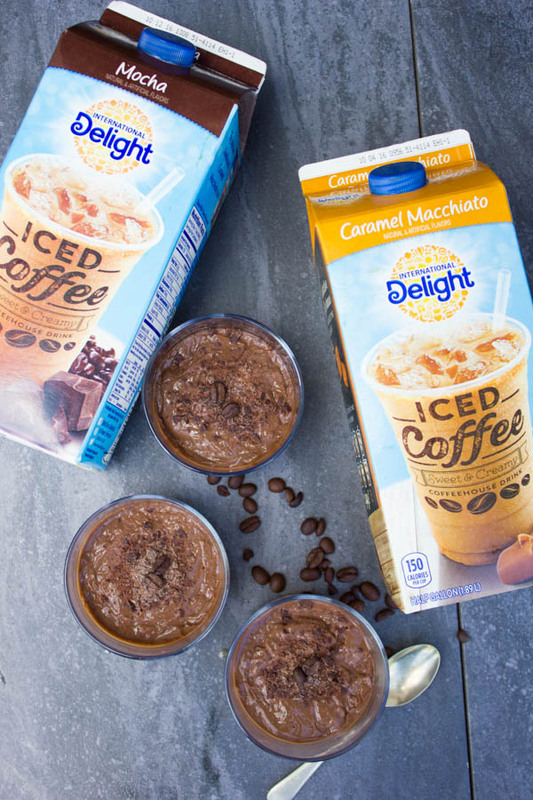 It’s like your favorite chilled Mocha or Caramel Macchiato iced coffee transformed into a silky smooth pudding to die for! My neighbor came over a few hours after I made this coffee pudding recipe. So I had those coffee pudding babies chilling in the fridge and not photographed yet. We had tea, and chatted.. then I needed to start my photo shoot, o I explained to her and said sorry I hope you don’t mind, I just need to finish up my work etc. She was very sweet and asked to stay and watch so I said of course, and I could use a hand! So as I started setting up and explaining to her how I made the coffee pudding and she was just too curious not to taste. I said sure go ahead and taste a bit.. well guess what, she DEVOURED the homemade mocha pudding! I had to keep her hands off them the entire time so I could snap those few shots for you guys! 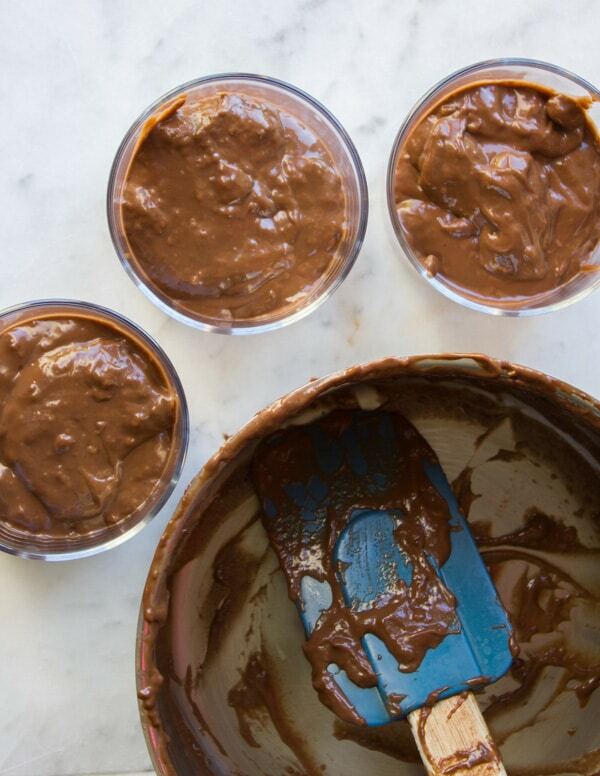 Ok here’s how you can get yourself some of this mocha pudding goodness in your life. In a medium pot, you’ll measure out the Iced Coffee with some cream (coconut cream works here too) and cornstarch. Stir to combine. Then you’ll simply cook this pudding mix over medium heat until it starts to bubble up gently and lower the heat for just 3 mins. Then guess what? It’s done!!! Yes! 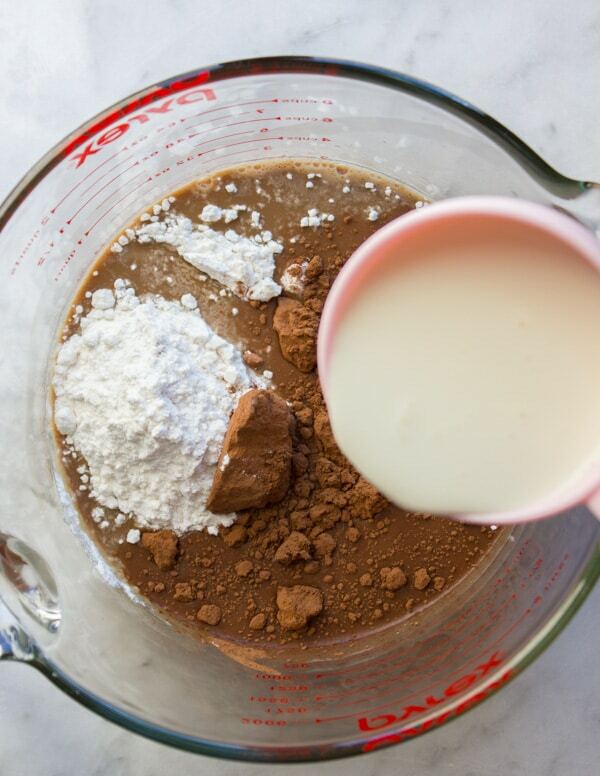 Divide the mixture evenly among serving cups and chill for at least 3 hours. Then invite your neighbor, grab some spoons and enjoy! Maybe alongside some of my Italian Coffee Crunch Cookies? 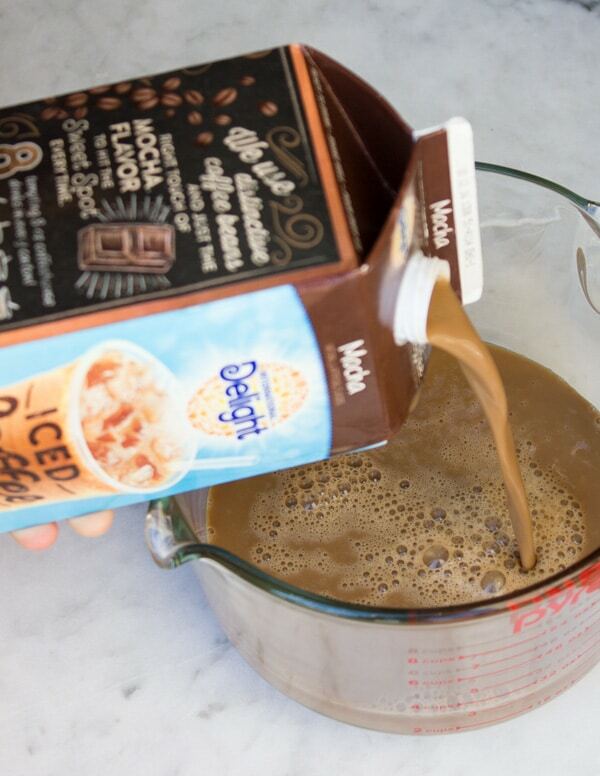 You can use store-bought or homemade iced coffee for this recipe. 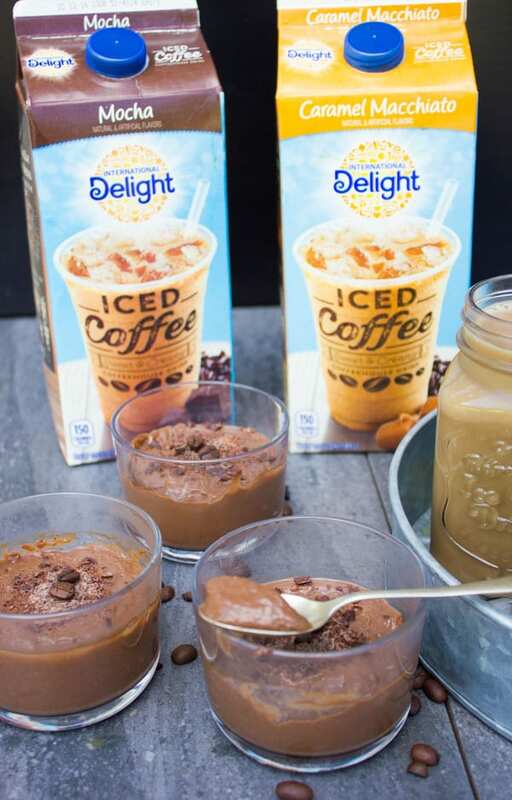 Make this pudding recipe sugar-free by using homemade iced coffee and using stevia to sweeten it. 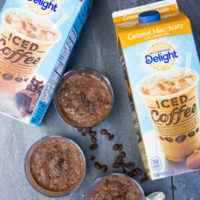 For a vegan coffee pudding, use coconut milk for your iced coffee and coconut cream instead of cream. In a medium pot, add all the ingredients together and whisk until blended (it won’t be smooth yet). Put the pot over medium heat and cook (stirring often) until the mixture starts to blend in and become smooth. Bring the pudding to a gentle boil and let it cook over low heat (gently simmering) for 3 minutes. Turn off the heat and pour the pudding into serving cups. Chill the pudding for 3 hours at least or flash freeze it for 1 hour, and serve! 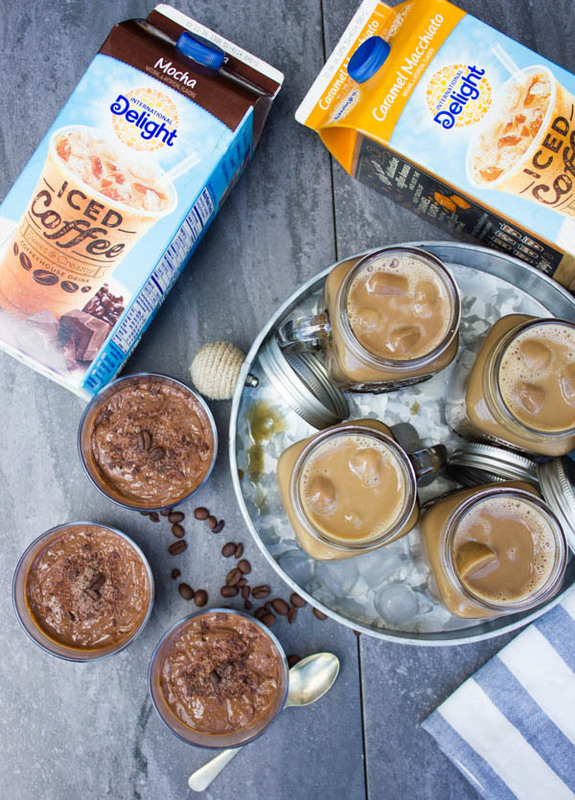 Make this coffee pudding recipe sugar-free by using homemade iced coffee and using stevia to sweeten it. Hi Elba, I’m so sorry to hear this 🙁 Are you using your desktop or phone? I haven’t heard this before–hope it resolves soon.